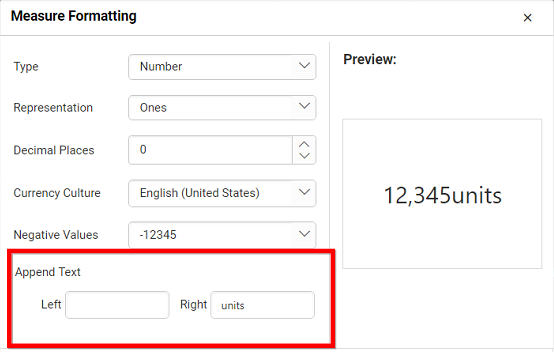 The value display type of measure column can be defined based on the displayed data. 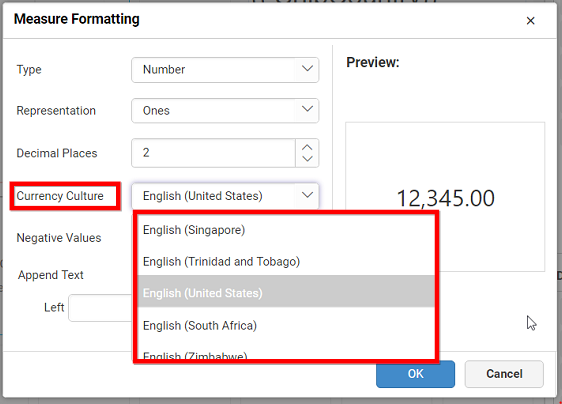 For example, if you display the sales amount column, then the type can be defined as Currency. The value display format can be defined by the representation. For example, by selecting thousands, the value 10,000 will be displayed as 10K. 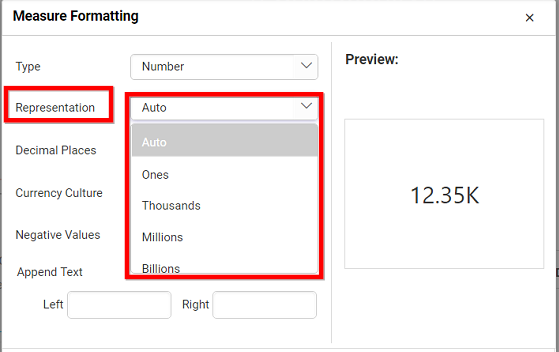 You can set the decimal places explicitly when the representation is set with options other than Auto. 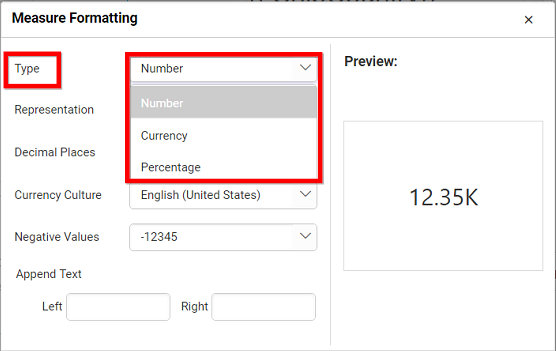 You can set the currency value culture when the value display type is set as Currency. 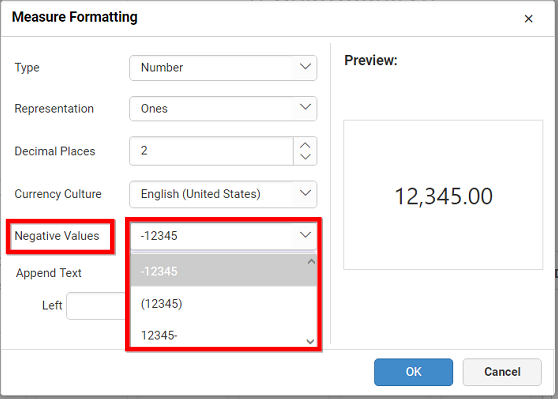 You can set the negative value display format for number representation. 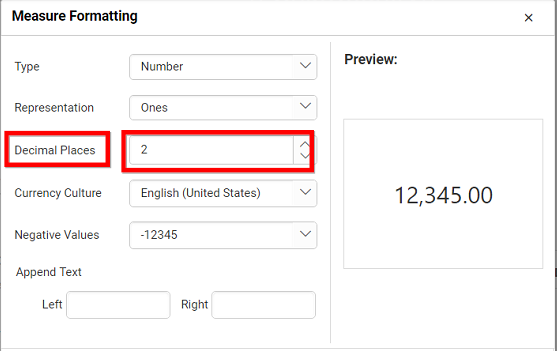 You can append text, character, number, or symbol either at start or at the end of the values. 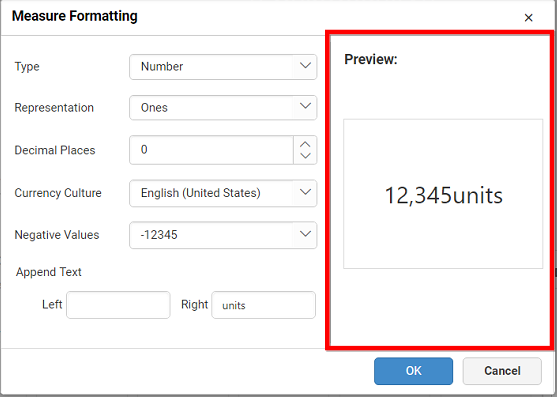 This field provides the preview of display value in the Measure Formatting dialog based on the settings.